Recently unboxed my Ben NanoNote, and I am impressed. The packaging was top-notch and classy as hell. I would not hesitate to put my name to it. 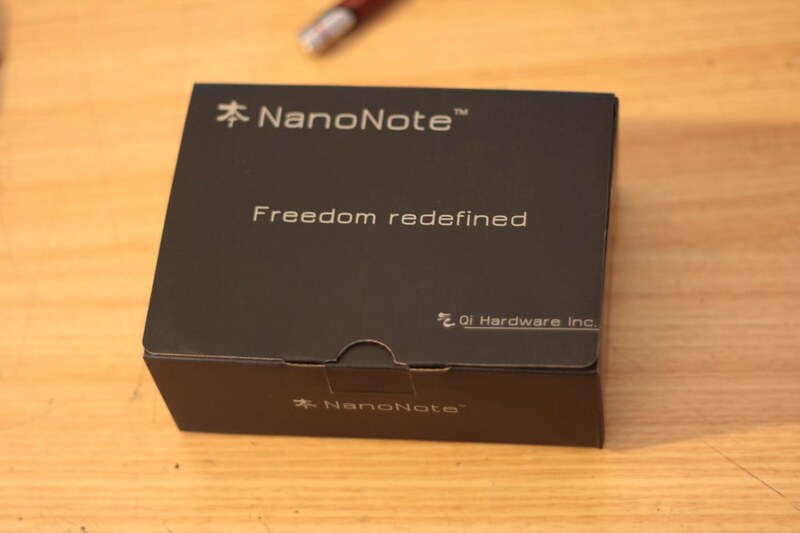 The NanoNote itself is tiny, and feels fairly solid despite the shiny-appearance which I have come to associate with cheapo devices. It's a nice little package, the only issue being the lack of cover of some sort for the micro-SD card slot, which is odd considering the USB port does. For those wondering, the keyboard has good tactile feedback, though there is no way you are touch typing on this. There is a microphone opening and a speaker grill, though I have no at this time exercised any of those functions. Ben NanoNote is a $99 device which runs OpenWRT. In and of itself this is nothing special. What is special is the copyleft hardware - you can download the schematics off qi-hardware. For hardware meddlers like myself, this is a boon: we can do many interesting things when we know exactly what is available to us and how. 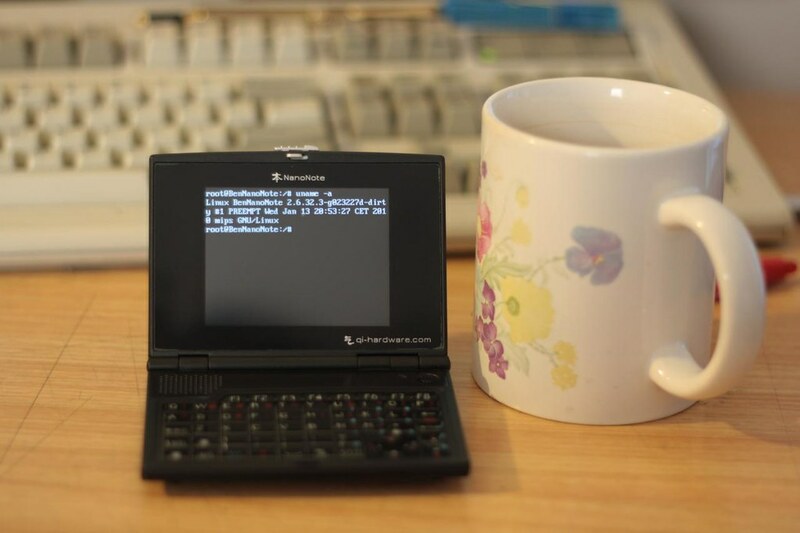 The copyleft nature of the NanoNote hardware is that anyone else can build their own 100% compatible NanoNote variant. This allows immediately opens the platform to competition, and it also gives product developers peace-of-mind: you can always make your own Ben NanoNote, even if qi-hardware stops making them. In many ways, the Ben NanoNote is like the arduino: here is some hardware and schematics along with a software platform/SDK with source. Now go wild. I recently cancelled my print subscription. You are no longer a magazine I wish to support. Political commentary on topics like the insulation scheme and global warming has no place in an electronics magazine. The editor(s) are using the mailbag section to push their own agendas and opinions on the rest of us. I can no longer tolerate such non-sense, and have no interest in financially supporting a magazine that is so set on disinformation and irrational discourse. Let me be clear: I am not cancelling my subscription because of the beliefs of the people at SC. I am cancelling because SC is being used as a platform to spread those beliefs. Whether or not SC believes in global warming, or that the government is at fault for the deaths from the insulation scheme, commentary of these issues are best left to newspapers. They have no place in a publication about electronics. On other thing, the filler article reviewing consumer electronics (e.g. MacBook) is most annoying. It lowers the standard of the magazine. If you really have nothing to write about, go find some interesting arduino variants, like the jeeNode, and review one of those. You have lost your way SC, and it is a sad thing to have to let you go. Maybe we can get back together again. Script to make IPAs for ad-hoc distribution. This script produces an IPA, then verifies to make sure the IPA is actually valid. Designed to be ran from the command line, but it should be easily made into a build phase.